Across the Carolinas, mills were the backbone of the economy for many communities for generations. When industries left to relocate overseas, entire cities and towns suffered, as did supporting businesses. Today, these former mills are gaining new life. A new generation is rescuing the historic structures and revitalizing neighborhoods, while also providing new jobs. Among the weathered bricks, tarnished metals and lofty ceilings, many restauranteurs and chefs see modern possibilities to nourish the next generation and keep Carolinas’ mill history alive. Housed in a 1925 downtown building, The Table is a rebirth of the former Cranford Industries, which included a hosiery mill and furniture factory. The Table is owned by Dustie Gregson, who started as a furniture designer but followed her passion to recreate simple food traditions that she remembered from her childhood. Gregson and her husband were inspired to give new life to the old mill district in Asheboro, a city that was nearly crippled by the loss of its many textile and furniture manufacturing facilities. Today, The Table is just one part of an entire downtown revitalization that Gregson is involved with. 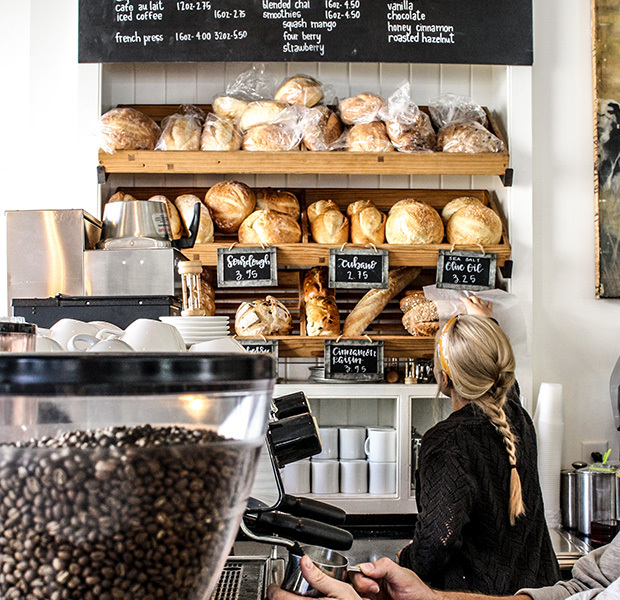 The eatery/bakery serves up Southern comfort food all day. 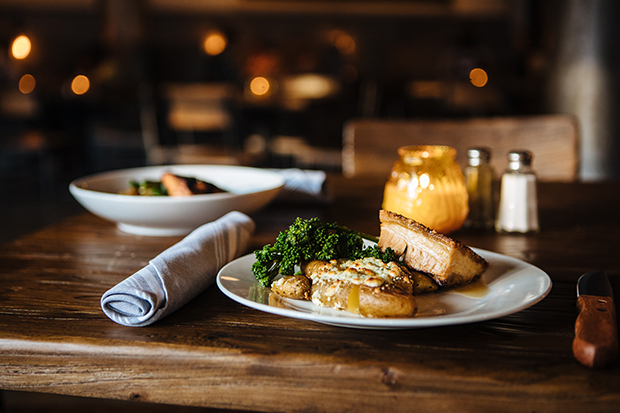 Don’t miss regional delicacies like the grits and greens plate with braised greens, hickory smoked ham and signature pimento cheese and a Carolina BBQ chicken sandwich with black eyed pea corn relish, house pickled fennel and Carolina BBQ sauce. 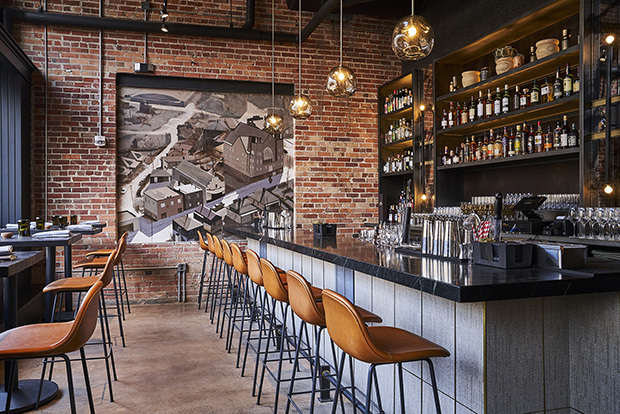 A former foundry that once made metal fittings and fixtures for Biltmore Estate and other iconic Asheville buildings now houses a much-anticipated restaurant showcasing Appalachian soul food. The Block’s former business owners are working alongside the chefs to showcase the delicious, but often-overlooked, contributions of African-American cooks to Appalachian and Southern food. Inside, remnants of the old foundry can still be seen, including a mezzanine near the ceiling and a pully elevator. The dinner menu evolves to showcase the region’s seasonal offerings. Don’t miss the forever roasted pork on benne seed biscuits with pepper jelly. Once the world’s largest exclusive flannel producer, Revolution Mill had long been the home to Greensboro’s rich textile history. It was the first flannel mill in the South and, as such, helped bring prosperity to the North Carolina city. Revolution Mill closed in 1982, but no one at that time could have imagined what the former buildings would soon become. Today, Revolution Mill is a campus with over 100 businesses, including restaurants, work spaces and apartments. The complex houses three destinations to eat, including The Kitchen + Market at Revolution Mill, a full service restaurant combined with a full service butcher and marketplace. 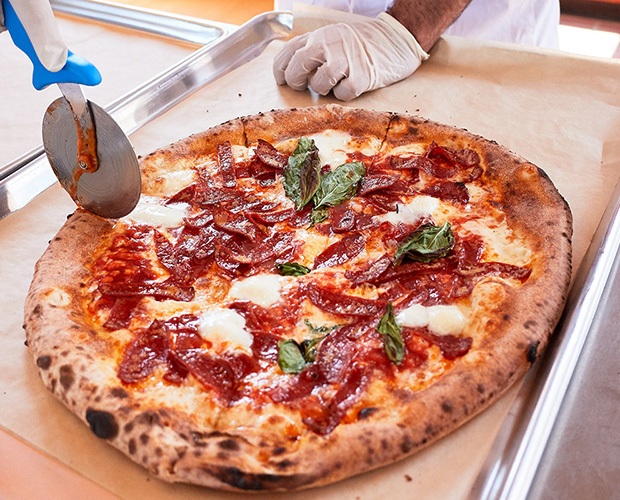 Cugino Forno pizzeria bakes up fresh pizzas in wood-fired ovens from homemade dough, while coffee and to-go items can be found at Café at Revolution. Once a thriving facility creating unique fabrics, The Southern Bleachery and Print Works employed more than 1,000 residents of Taylors, South Carolina. In fact, a mill village was created for the large community that relied on the textile industry. When the mill closed in 1965 after being sold, the large structure stayed mostly dormant for five decades. When portions of the property were acquired in 2006 and soon became Taylors Mill, the new project quickly rejuvenated the area. Small up-starts are given priority as tenants, incubating new businesses to grow. Today, The Farehouse restaurant is located at Dock No. 3 in the complex. 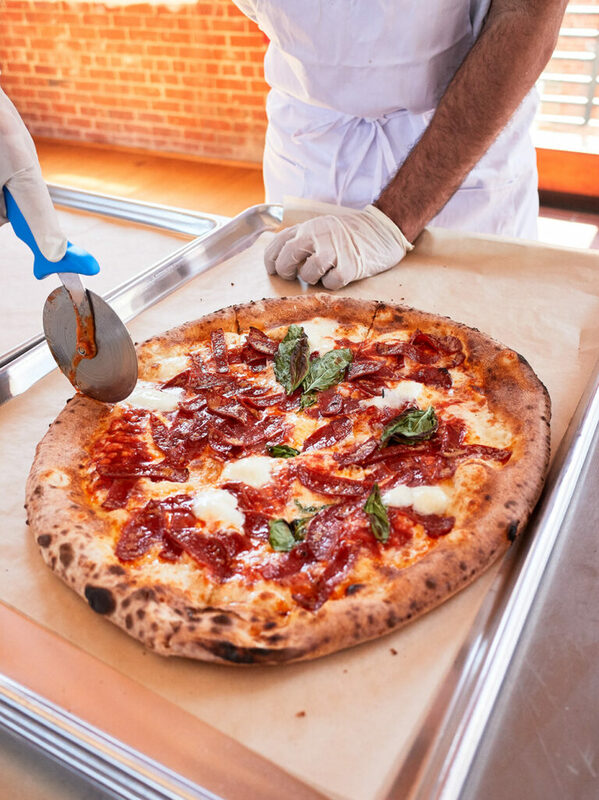 Pizzas named after the historic mill, including The Bleachery, The Smoke Stack and The Print Works, are among the variety of fresh and flavorful foods on the menu. Pair them with a craft beer from 13 Stripes Brewery, also located in Taylors Mill. Road trip challenge: Revitalized mill towns are fantastic road trip destinations! Share your road trip pics with us on Instagram! Tag @AAAGoMagazine and include #GoWithGo in your post!